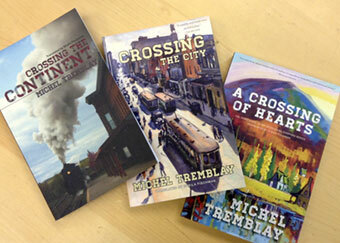 Michel Tremblay’s new-to-English novel has arrived! 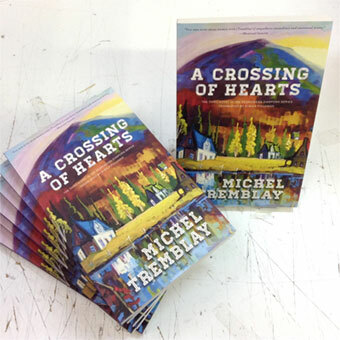 A Crossing of Hearts ($16.95) continues Michel Tremblay’s Desrosiers Diaspora series of novels, a family saga set in Montreal during World War I. This third novel bursts with life as Rhéauna (Nana) and her baby brother travel to the countryside for their first-ever family vacation. The young city girl explores the natural world – and the enchanted forest of her inner, maturing self. The novel also further develops the character of Nana’s mother Maria so that we understand her motivations more fully, and at the same time recognize nods to the history of Quebec and the dynamics of the family under the strictures of the Catholic church. Each novel in the series can be read on its own, but if you have enjoyed one, you are sure to enjoy them all! Pick up the first in the series, Crossing the Continent, and the second as well: Crossing the City.